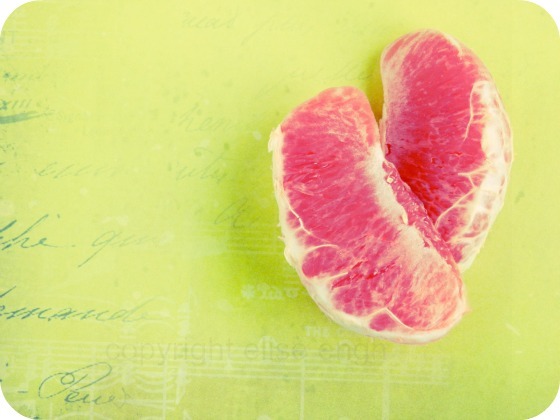 I really love the color of pink grapefruit and it's fun to photograph! I'll admit that this photo is edited a bit. I experimented with all kinds of patterned paper as the background and then played around with PicMonkey for a while. This greenish-yellowish paper turned out to be my favorite.. so bright and perfect for spring!